When I get around to writing a new post (which is becoming increasingly infrequent, unfortunately), it’s usually either 11-something in the morning or 4-something in the afternoon. Needless to say, I love naptime. It’s crucial that naptimes are as peaceful and productive as possible, for both the kid and for me. In addition, today’s rain reminds me that winter is coming soon to the Northeast. And I’m reminded of the darkness and chill that seems to find a home in our house during that time of year. I’m not good with gloom, and I’m the kind of person who turns on every single lamp in the house to defer it. For Fionn’s sake, I’m determined to fix the situation in his room too, and upgrade his lighting as well. I’m getting rid of those solar and soulless plug-in nightlights from the drugstore once and for all. 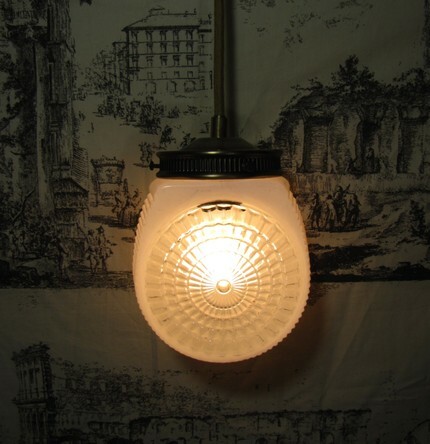 So in the search for something with more character, I’ve discovered vintage night lights. 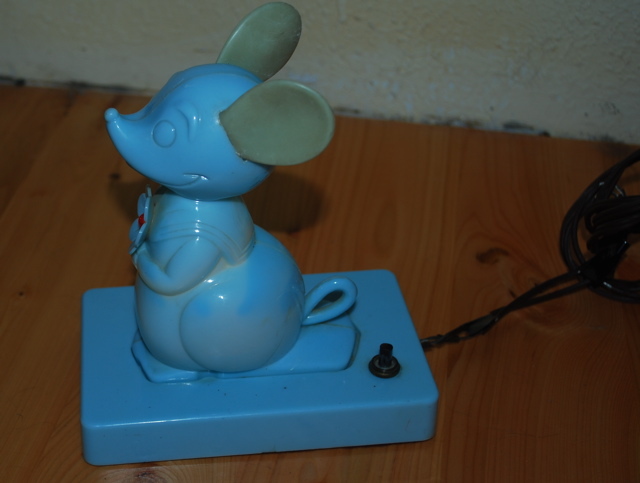 A great example is the mouse at top (from Vintage-toys.com), from the 50s or 60s. Vintage night lights are fantastic. Instead of plugging into the wall, they’re more like little figurines that sit on the dresser. 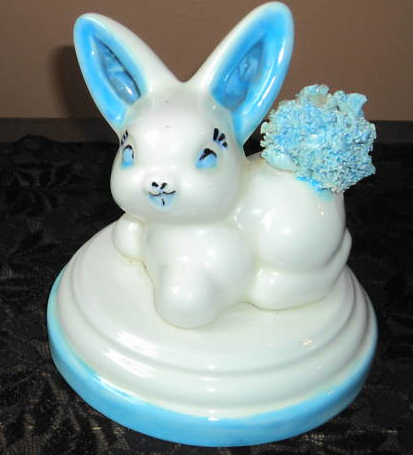 They’re either ceramic or made of plastic, relatively inexpensive (around $30), and adorable. The only drawback I see is that sometimes they require rewiring (understandable, after 50 years of use!) Here are some of my favorites. 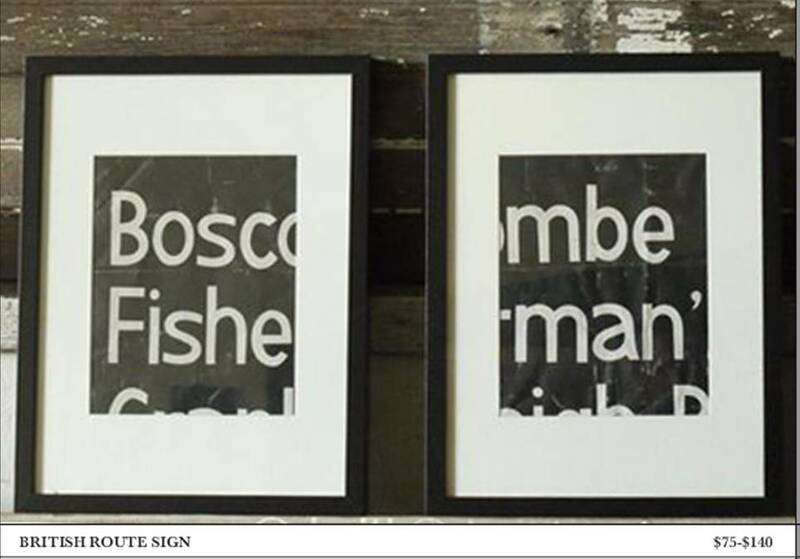 Oh, and if they’re gone by the time you read this, keep looking – they show up all the time on Ebay and Etsy. 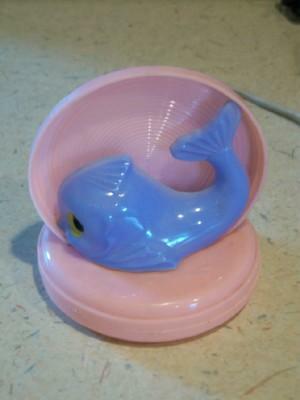 This little whale is being sold on Ruby Lane for $20. 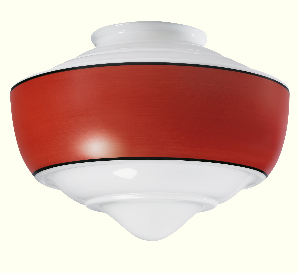 For the traditionalist, a ceramic shell – more like a TV lamp, it lights up at the back. 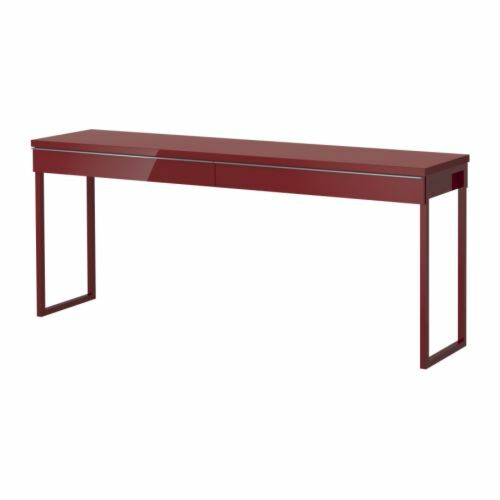 $15 at Bonanzle.com. 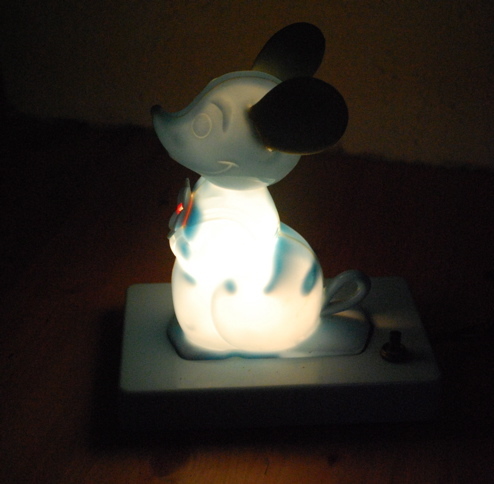 I personally love the figural night lights because A) they’re adorable and B) they light up in really cute ways. 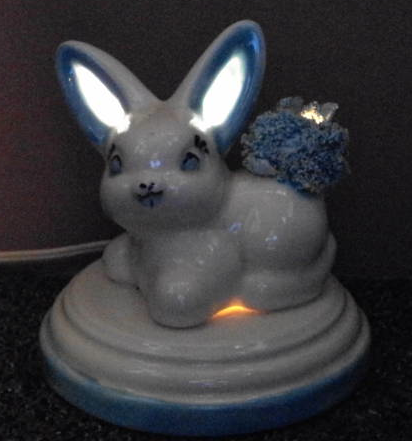 This bunny is great – its ears and tail light up for you. If you like it, hurry up; the auction on Ebay is ending soon. Saved the best for last. 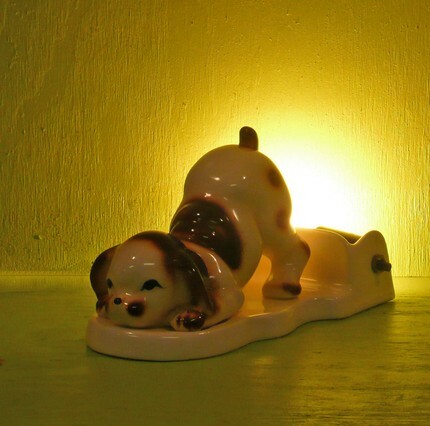 If you love vintage children’s lighting, you must check out the Etsy shop called Mary Had A Little Lamp. 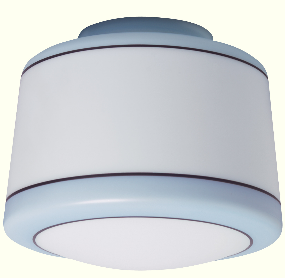 Specializing in lighting for nurseries and playrooms, the items on offer are often rewired and in immaculate condition. Is this puppy the cutest thing ever? Yes, the light shines from his little bum, but I can overlook that. It sells for $45 and would be a great start to your collection. And with those words, my naptime time is over. The Daleys are now officially a two-laptop household, and although I vow to never be sitting next to my husband on the sofa or bed, sharing warmed thighs and screen-glare-reflections on our glasses, I know that day is soon to come. We’ve got a lot of catching up to do, but with a very busy week-and-a-half ahead of us chez Daley (including interviews, birthdays and baby namings), I hope you’ll forgive my post flakiness in advance. So without further ado, how about some butterflies for inspiration? 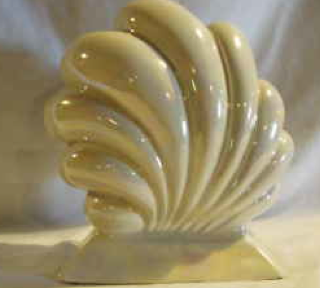 I have a weird fascination with figural ceramic lamps from the 1950s and 1960s. Plus, I have a niece whose parents are always on the lookout for unique butterfly decor (see previous post here). These lamps are the perfect combination of those interests, although I’m sure they’d also fall into the category of “things from my mom’s childhood that she would eagerly re-throw in the garbage, if presented with the opportunity.” I don’t care. They’re adorable for a little girl’s room. And for less than $100 for the pair, they can really add some sparkle and shine to a dull dresser. Alas, they’ve already sold out from Shop Good Grace’s Etsy shop, but there are always wonderful things to be found here, including another set of lamps made of white milk glass. 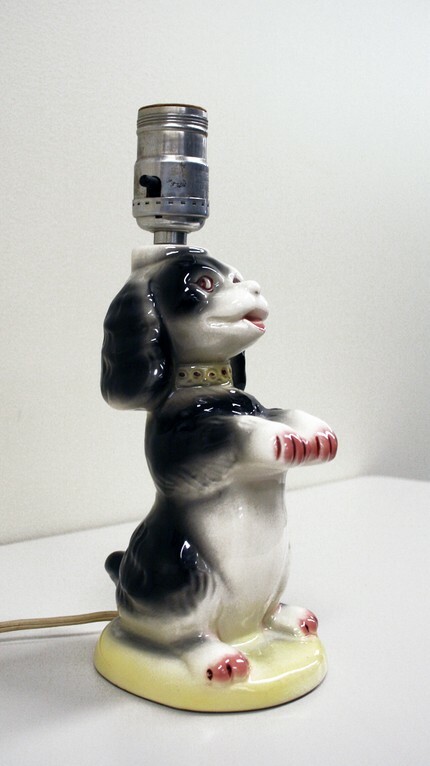 But if you want a ceramic lamp, check out this puppy! Yes, Urban Outfitters makes its own knock-off version (I’ve seen it in stores, but not online); this is the real deal. How freaking cute. Available via Point B for $55 on Etsy, this is going to be snatched up really fast. 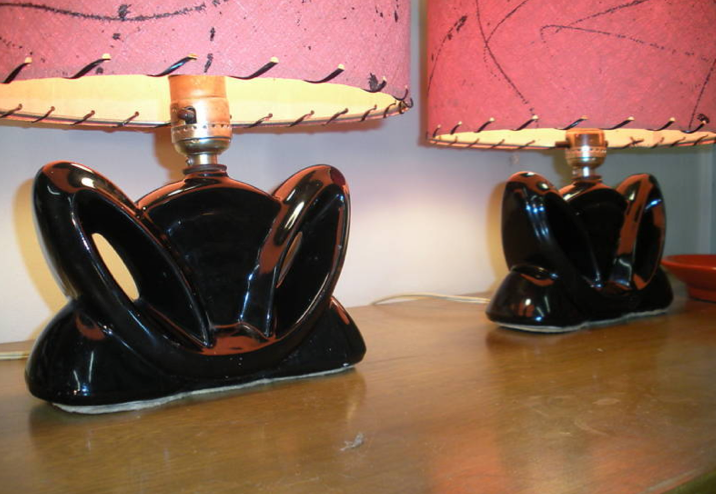 These black lamps (with hot pink shades) are called “cat lamps” – do you see the resemblance? (I think cat people must be heavy searchers on Ebay, hence the title). 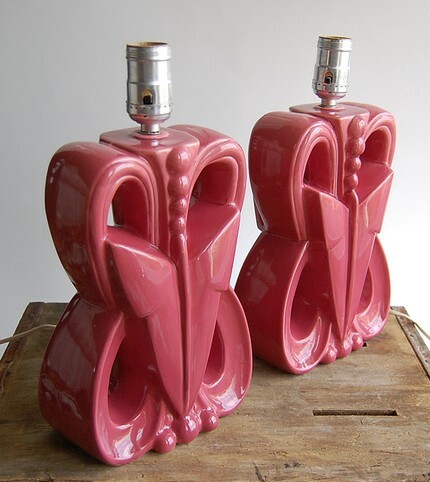 At over $200 for the pair, offered by Planet Recycle Modern on Ebay, they’re ridiculously expensive but a good example of mid-century kitsch lighting. Have a great weekend and we’ll see you soon. During my childhood, and into my teenage years, my dad commuted every weekday to P.S. 221 in Crown Heights, Brooklyn, where he introduced grade school kids to the world of art. Some of my earliest memories were shaped by this experience — field trips to the Brooklyn Museum, my first glimpse of faculty lounges, and the amazing light fixtures he ‘saved’ from a certain fate as fodder for the trash heap. Three Potato Four via The Estate of Things. But, apparently, I’ve hit on something. Here’s what I found today on a fantastic blog called The Estate of Things (link above). Schoolhouse Chic has been emerging for some time now and I thought it was time to take a break from the flurry of images in my head and examine the look. 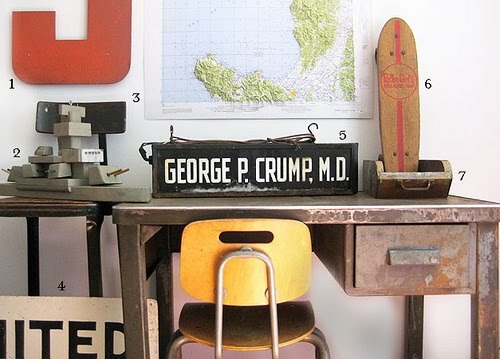 Rising out of this design comes the love for globes, educational charts & maps, chalkboard everything, glass beakers as vases, card catalog storage, schoolhouse lighting, use of letters & numbers and the industrial feel of school desks, stools and chairs. The image above is from another blog/shop called Three Potato Four (link above). The items featured are inspirational, fun, and, for the most part, available for sale! I debated keeping news of this amazing shop all to myself, but decided against it. This Old House magazine is an excellent resource for these type of things. 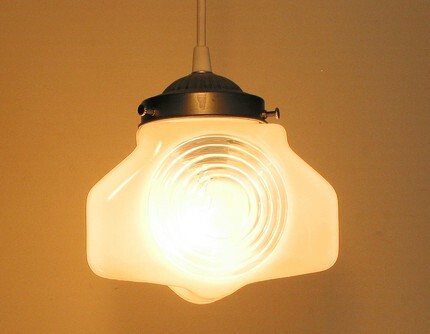 In fact, they’ve devoted an entire feature to schoolhouse lamps, some of which are shown above. 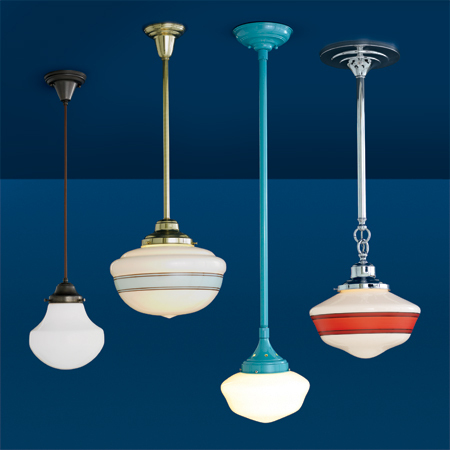 The varieties of vintage reproduction lamps available today are mind-boggling; to see what I mean, just check out the Schoolhouse Electric Company website. 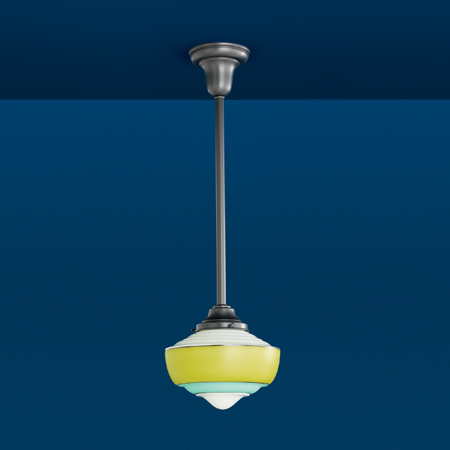 Here are some of my favorite lamps and shades. 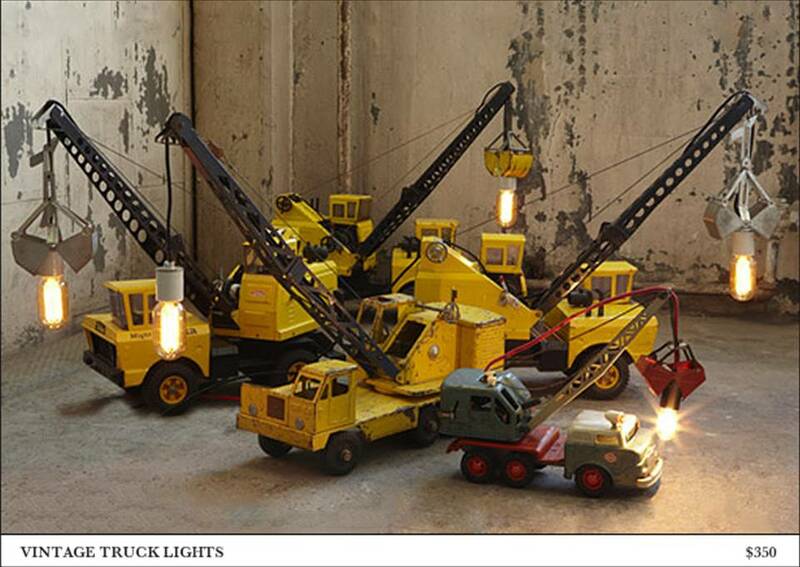 Just so you know, the fixtures and lamps are mix-and-match. The lamp shade is unlike anything I’ve seen before. 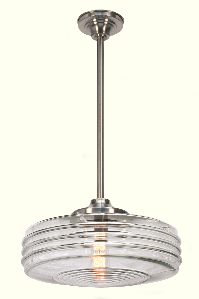 “The front has a clear, circular design with raised glass, and the sides project outwards with a reeded detail.” I think it’d add a great vintage touch to a colorful, modern room. Of course, you can always try tag sales, Ebay, or vintage shops online. 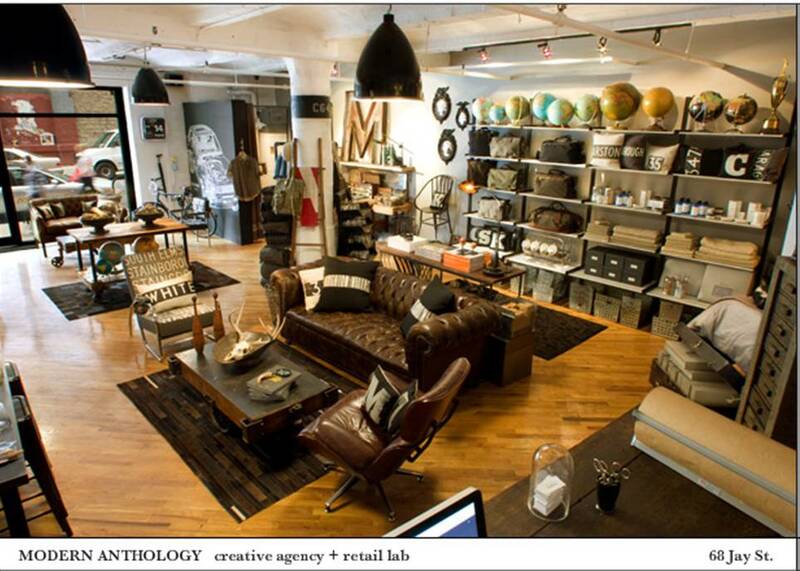 Austin Modern is one of these, starting as a bricks-and-mortar location, now selling its wares on the internet. 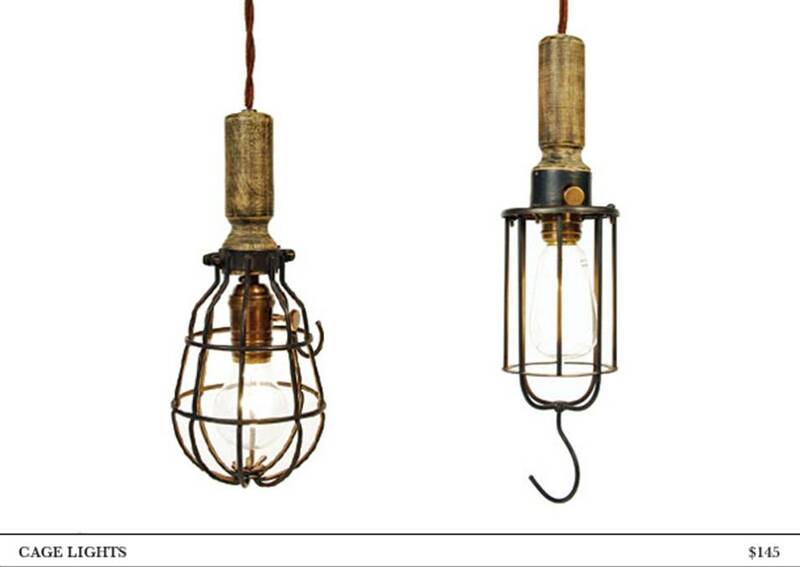 These are created from original vintage globes from the 1930s and 1940s, salvaged from craftsman homes in the Austin area. There is so much great design out there, there is no reason for anyone to have to live with mass produced junk no matter their budget or the size of their living space. Our motto is this: Buy the BEST you can afford, not the most expensive you can find, and you’ll always be happy with your choices!